Have I got some exciting news for you! 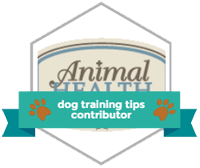 I is becoming a Brand Ambassador – testing products and reviewing so you and your humans can find great dog friendly products. Now Hum has struggled to find me any dog food that I like. See with me visiting hotels & pubs and doing my Dog Blog reviews of them, I has gotten used to sharing Hum’s food and I must say I am a bit partial to steak, duck, venison, grouse etc. not to mention eggs for breakfast. SO why would I bother with dog food when Hum gives me all this and usually cooks for me too…. However, Hum said she felt I needed SOME dog food to supplement my usual diet to ensure I was getting all the right vitamins and suchlike. Think that is mainly ‘cos I won’t eat the veg she tries to sneak into my dinner…. SO the lovely folks at Eden Holistic Pet Food got in touch with Hum and offered us some of their dog food to see if I might like it. Now dog pals, I has tried LOTS of different brands of dog food in the past – Hum does keep trying – but I had not found one that I could say I really liked and so Hum had always had to take it to the dog rescue place when I wouldn’t eat it. HOWEVER, Eden Holistic Pet Foods has proved an exception!!! I LOVE it!!! I got to try the Original Cuisine and the Fish Cuisine and I can tell you I ate it all up; cleaned my plate and asked for seconds. You should have seen how happy Hum was!!! So a bit about the products now for your human-folk. Eden Holistic Pets Foods are a family owned company. The owner was a nutritionist and has tried to get as close to us dog folks’ Ancestral Diet as possible. This means all the food is high quality British produce and includes a variety of meats, organic minerals and vitamins, a range of fruit, vegetables and botanicals. The Original Cuisine has 80% Chicken, Salmon, Duck & Egg/20% Fruit & Vegetables. The Fish Cuisine (my favourite) has 80% Salmon, Herring & Trout/20% Fruit & Vegetables. SO if you is a fussy eater like I is, or if you just want to try something super yummy delicious and also healthy, get your Humans to purchase some Eden Holistic Pet Food and enjoy!! !